Geopolitical Intelligence Services (GIS) “Dossiers” aim to give readers a quick overview of critical topics, regions or conflicts. This survey centers on Turkey’s gas pipelines and supplies policies that impact Europe’s energy security as well. It is based on a selection of reports by Dr Carole Nakhle, CEO of Crystol Energy, and others. Back in the 1990s, GIS expert Dr. Carole Nakhle noted in one of her reports, American diplomats distributed a car sticker around Central Asia with the slogan “Happiness is multiple pipelines.” It extolled the principle of the diversification of pipelines, she explained, as the best way of minimizing the risks of disruptions to oil and gas supplies and getting rich off transit fees. Ankara has strived to find its path to such happiness. Turkey emerged as the key transit state for alternative gas supplies from the Caspian Sea region, which the European Union sees as part of the solution for reducing its overdependence on Russian gas – the “Achilles’ heel” of Europe’s energy security. 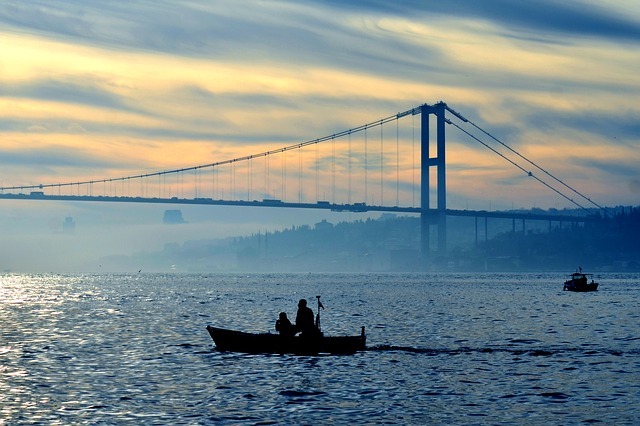 These projects enhance Turkey’s role as a regional power. The EU has learned that Ankara’s energy and foreign policies are interdependent. Turkey lacks indigenous gas reserves. It relies heavily on imported gas, which accounts for 29 percent of its primary energy consumption and almost 50 percent of electricity generation. In recent years, Russia has been Turkey’s second-biggest trade partner, GIS Expert Eka Tkeshelashvili wrote in a 2015 report for GIS, and the energy sector remains the pillar of bilateral economic cooperation. In 2010, the Russian State Atomic Energy Corporation (Rosatom) signed a contract to build a nuclear plant in Turkey worth $20 billion. Gas supplies from Russia cover nearly 33 percent of Turkey’s energy needs, while oil and coal imports form a minor share, 15 and 10 percent respectively. The Turks are not happy, the expert added, with the terms of the Russian energy supplies: they pay, for example, a much higher price for Russian gas than European nations. Therefore Ankara has been keen to diversify its energy imports and gain negotiating leverage with Russia.